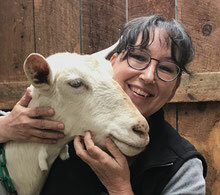 We started making goat cheese to feed our family with the purchase of our first dairy goat in early 1999. 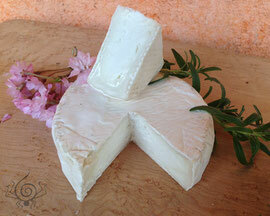 Allergic to cow milk products, our sons were able to tolerate goat milk and goat cheese. So early on, it was important for our cheeses to meet the exacting standards of our young children. As the dairy became licensed and the business grew, our cheeses became more complex and sophisticated. Our farmers market customers have discerning palates and we've loved every minute of meeting their demands. With over 15 years of commercial production behind us, Spinning Spider cheeses have grown in popularity. We've won both regional and national awards and are featured in fine restaurants and specialty stores throughout the southeast.